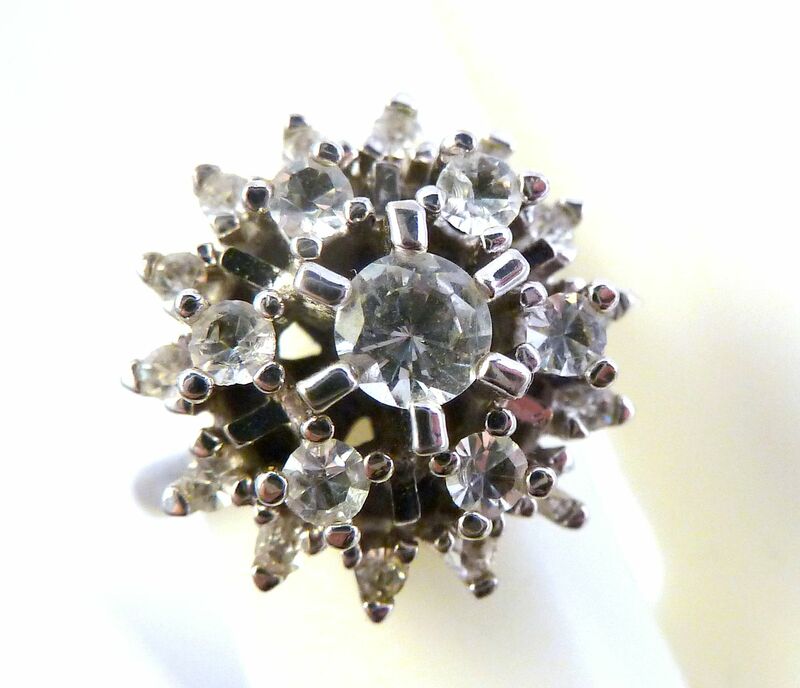 Vintage Style Large Raised Rhinestone Cluster Ring. 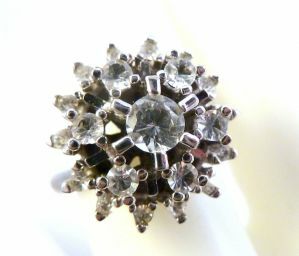 Vintage style, large, raised rhinestone cluster ring. Vintage style. 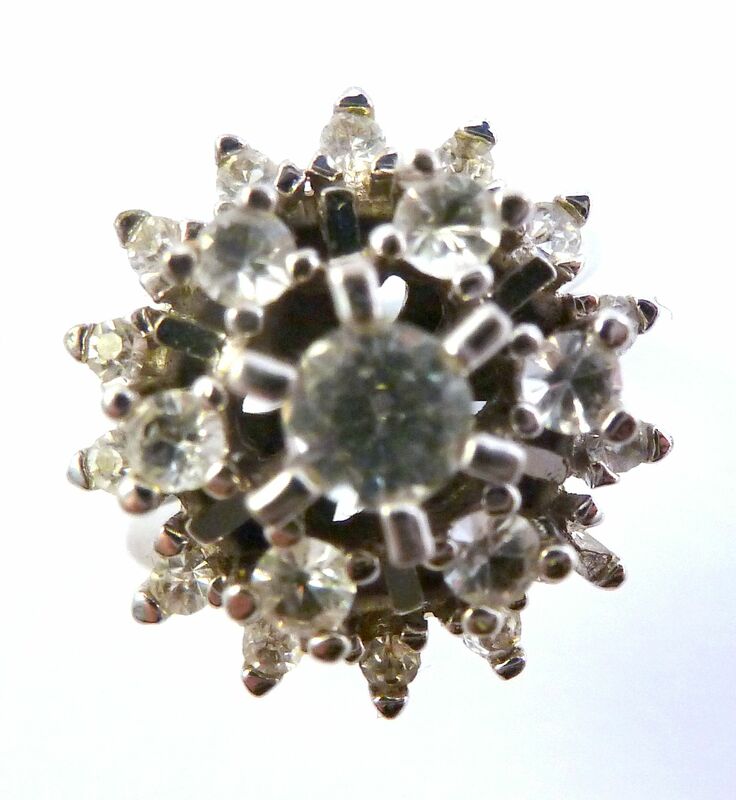 large raised rhinestone cluster ring. 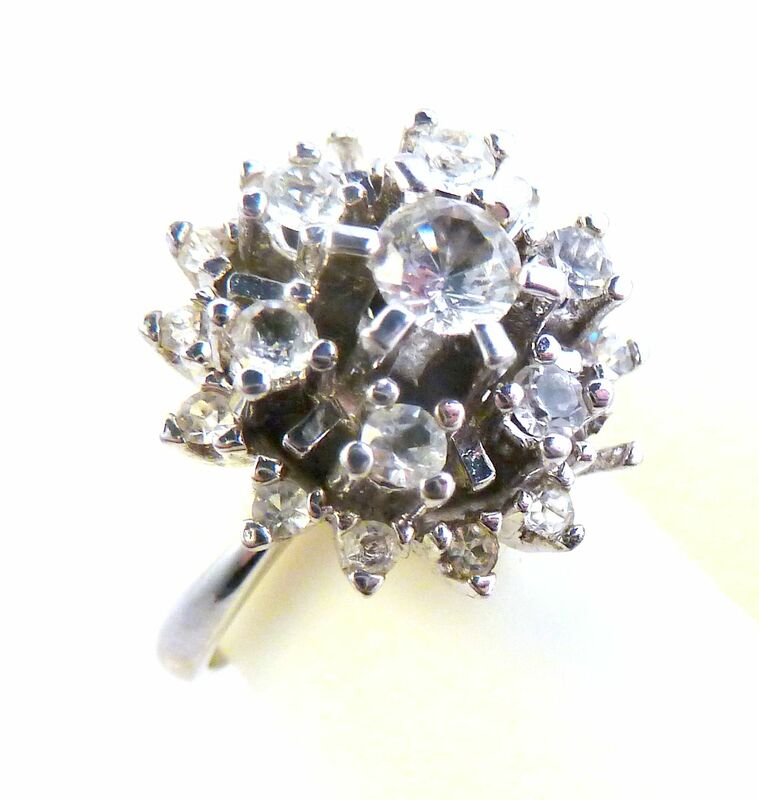 The ring is formed from a plain silver tone metal band set with a raised design of clear rhinestones in a floral design to the front. 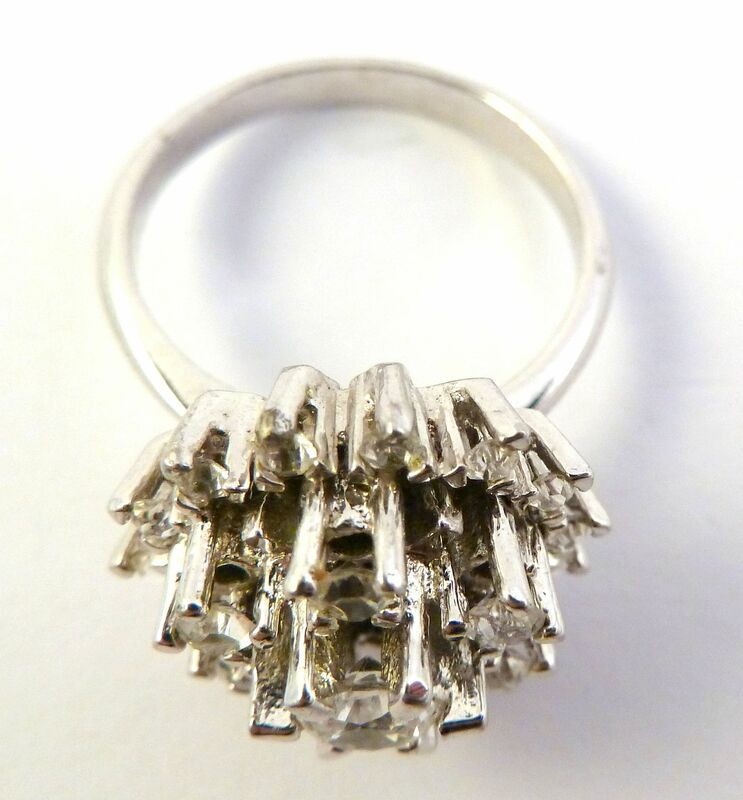 Modern ring design with vintage in mind. Ring Size UK P, US 7 1/2. 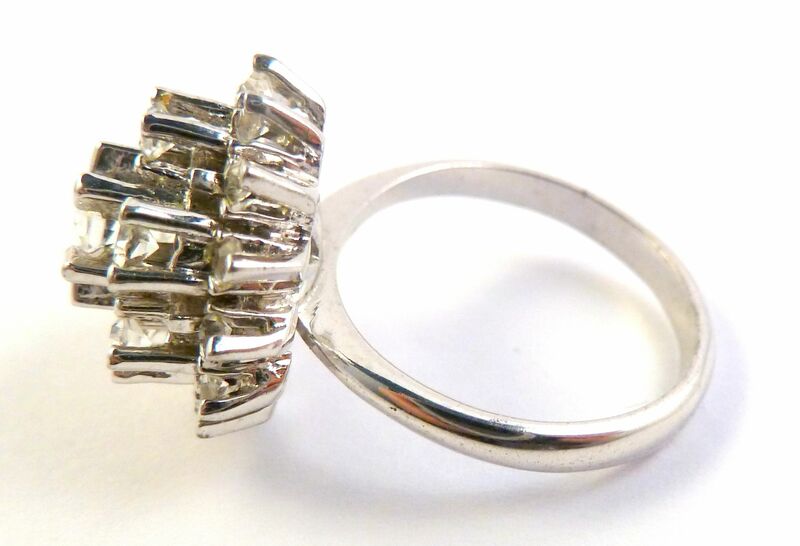 Modern ring designed with vintage in mind.